I first discovered Jock Serong last year, when Readings’ Stella Charls, Alice Pung and I were reading through an enormous book pile, judging the Victorian Premier’s Literary Award for Fiction. None of us expected to be utterly seduced by a crime novel titled The Rules of Backyard Cricket (spoiler: none of us are sporty). But we were all intrigued by its gritty, elegant exploration of Australian masculinity, as dramatised through elite sporting competition. So, Stella and I were both excited when On the Java Ridge, billed as Jock’s first non-crime novel, landed at Readings HQ. Mark Rubbo reviews it in this month; he says it left him ‘exhilarated, angry and compulsively engaged’ and ‘marks Serong as one of the great exponents of tense, totally engaging narrative fiction’. For the record, I’m part of the fan club, too. 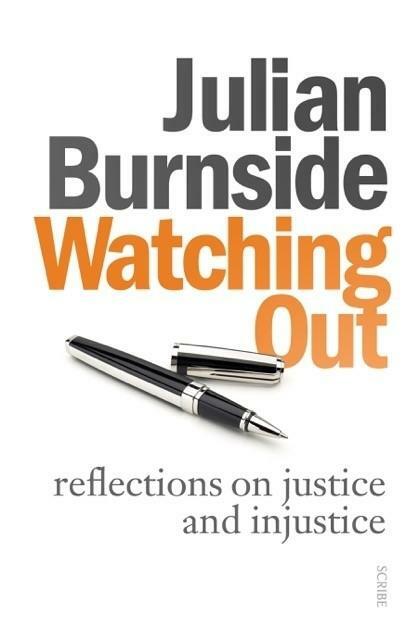 Readings favourite Julian Burnside is back with a new book. Watching Out, an exploration of the law, justice and how we might bridge the gap between the two, is our Non-Fiction Book of the Month. I recommend reading it alongside On the Java Ridge (as I did) for a deep-reaching reflection on Australia’s treatment of asylum seekers, and our abrogation of moral responsibility to those we deem Other. Tony Birch is another Readings favourite (like Burnside, known for his social conscience) and several hands were up to review his new collection, Common People. Short-story lover Annie Condon praises Birch’s gift for dialogue and the exceptional quality of these stories, and concludes that it’s ‘a collection that stands out for its voice and compassion’. Stella Charls also fell in love with a short-story collection this month: Pulse Points, by Jennifer Down (a former Readings Hot Desk Fellow). A fan of Down’s debut novel, Our Magic Hour, Stella had high hopes – and reports that this book ‘exceeds all expectations’. Chris Somerville reviews The Town, the second book published by The Lifted Brow (the first was Briohny Doyle’s critically acclaimed apocalypse novel This Island Will Sink). ‘It’s hard to imagine that we’ll get a more original Australian novel this year,’ raves Chris, calling it ‘incredibly strange and incredibly gripping’. There are new novels from Robert Drewe, Garry Disher, Emma Viskic and Anna George, and Tony ‘Q&A’ Jones’ fiction debut, The Twentieth Man, a gripping political thriller, will hit the spot for many readers. Mark Raphael Baker’s Holocaust memoir, The Fiftieth Gate, was a bestselling critical hit 20+ years ago. Thirty Days is a different kind of family memoir: a beautiful, heartbreaking reflection on a marriage, following the death of his wife Kerryn. Text has reissued The Fiftieth Gate alongside the new book. And last but not least, you might have recognised the Carlton landmark on the beautiful cover of our most issue of Readings Monthly: La Mama. The community theatre company celebrates 50 years with a gorgeous commemorative book, La Mama.